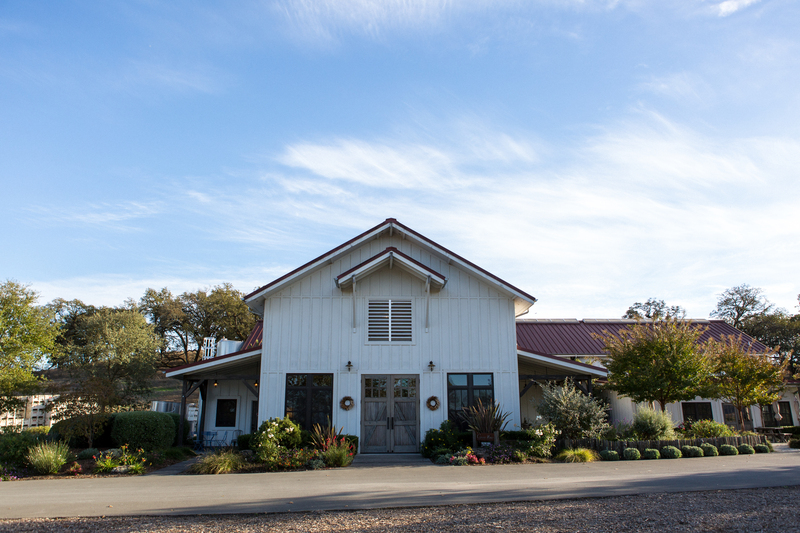 Copain Wines welcomes guests to our hilltop winery, overlooking bucolic Russian River Valley, by appointment only. Upon arrival our Estate is warm and welcoming, gated and private, allowing our Hospitality team to curate memorable experiences for our guests. Please allow us to begin planning your unforgettable day in wine country by contacting a member of our Hospitality team today. Appointments may be made by using the Reserve links below or by calling our Hospitality Team at (707) 836-8822. Copain Wines is closed on the following 2019 holidays to allow our team to share our favorite Copain wines with friends and loved ones: New Years Day (January 1), Independence Day (July 4), Thanksgiving (November 28), Christmas Eve (December 24), & Christmas Day (December 25). Please note that Copain will also be closed on April 25th. Our Farm Table Tasting is the ideal experience for wine enthusiasts looking to introduce themselves to Copain Wines. Copain was founded on the principle that wines should be enjoyed with food, whether for an informal gathering or a momentous occasion. This seated experience is conducted in a communal, yet intimate setting at one of our spacious farm tables. Guests will enjoy five current release wines from our Single Vineyard series along with plated food pairings consisting of artisanal cheeses, fruit, and charcuterie. Please allow sixty minutes for this experience. Due to the group nature of this experience, children and animals are not permitted. For groups larger than 6, please refer to our Large Group Tasting option below. For groups larger than 6, please refer to our Large Group Tasting option below. The Reserve Flight is a privately seated experience for guests looking to explore and enjoy our limited release Single Vineyard wines. Our Single Vineyard wines are our most sought-after offerings and made in small lots. Stunningly elegant and expressive upon release, our wines have proven to also age gracefully over time. Guests will enjoy six wines selections from our Single Vineyard portfolio, both current and back vintages. The wines are accompanied with plated food pairings consisting of cheeses, fruit, and charcuterie. Please allow seventy-five minutes for this experience. The Reserve Flight may also be experienced as an exploration of five Pinot Noirs or five Syrahs with advance request. Please allow us to curate your memorable day at Copain by calling our Hospitality Team at (707) 836-8822 x1. Due to the indepth and focused nature of this experience, children and animals are not permitted. Copain’s vineyard-designate wines are the pinnacle of our winemaker’s passion for curating wines that are both true to the varietal and representative of the land the grapes were grown. The Comparative Library Tasting is a privately hosted experience intended for guests looking to participate in a focused examination of our most sought-after bottlings. This seated experience will focus on three select vineyards, with a current release vintage compared to a library vintage. A curated plating of cheeses, fruit, and charcuterie will accompany the flight. Please allow ninety minutes for this experience. Copain is pleased to offer Group Tastings. Large groups of 7 or more require advanced reservations and are privately hosted. Because of this, Copain is happy to work with guests to offer a fully customizable menu and experience. Pricing starts at $60 per person ($40 per person for Members) and may vary depending on group size, wines selected, and day & time requested. Groups over a certain size may also require a buy-out of the property, which Copain can offer on certain days and times. Group Tasting fee independent of wine purchase. Please call 707.836.8822 to make a Group Tasting appointment. We look forward to being a part of your Sonoma County Wine Country experience! Note: Due to our limited capacity and the intimate nature of our property, we kindly require that all persons in the party who wish to be seated also be included in the group's headcount. Copain is happy to offer a cheese and small bites plating and a selection of non-alcoholic options for those who wish to be seated but choose not to taste wine. Copain Wines is pleased to offer complimentary Farm Table Tastings to those in the wine industry & trade, by appointment only. Complimentary tastings are reserved for those who own or currently work at a winery or tasting room located in Sonoma, Napa, or Mendocino Counties, as well as hotels, driving services, or concierges located and servicing the aforementioned counties. For those who own or work at establishments that currently purchase Copain wine for their retail or restaurant business, please contact the representative with whom you order Copain for your business to schedule your visit. For all other individuals and requests, reservations may be made on our Visit page to schedule your appointment. Please call (707) 836-8822 x1 or email hospitality@copainwines.com to schedule your industry tasting. Our Hospitality Team looks forward to your visit!